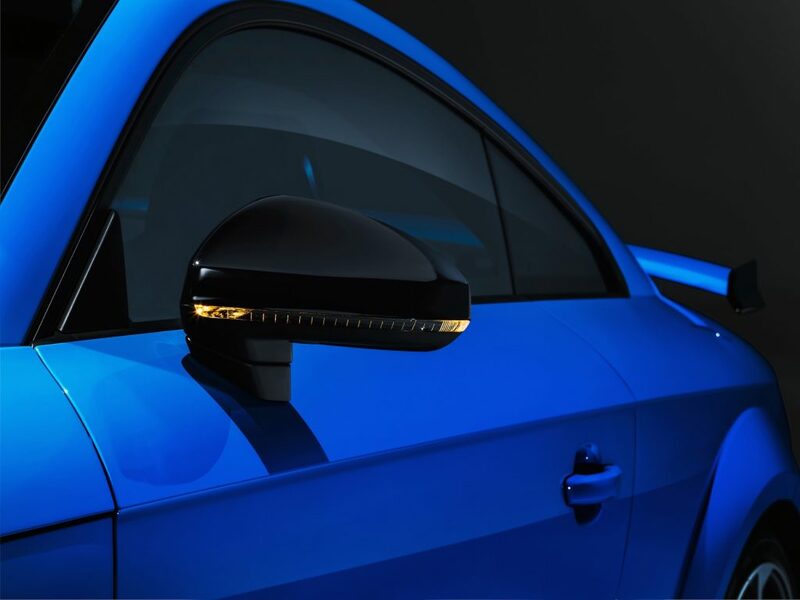 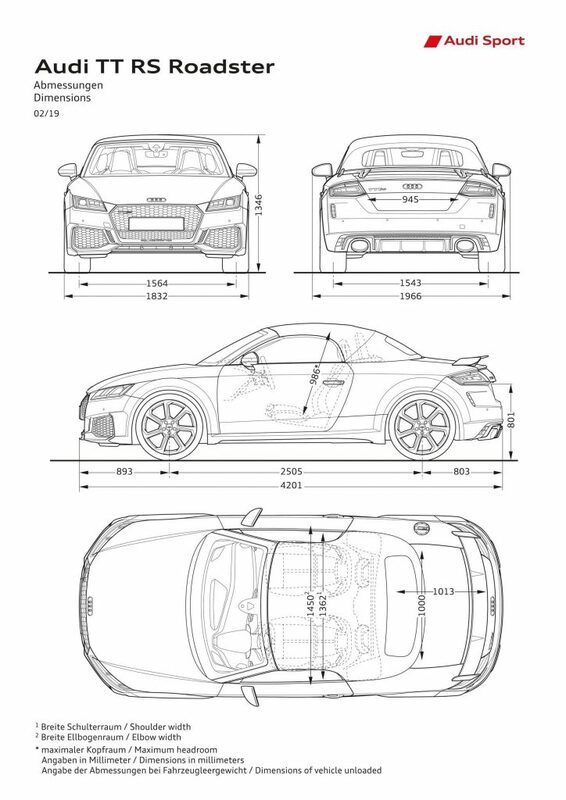 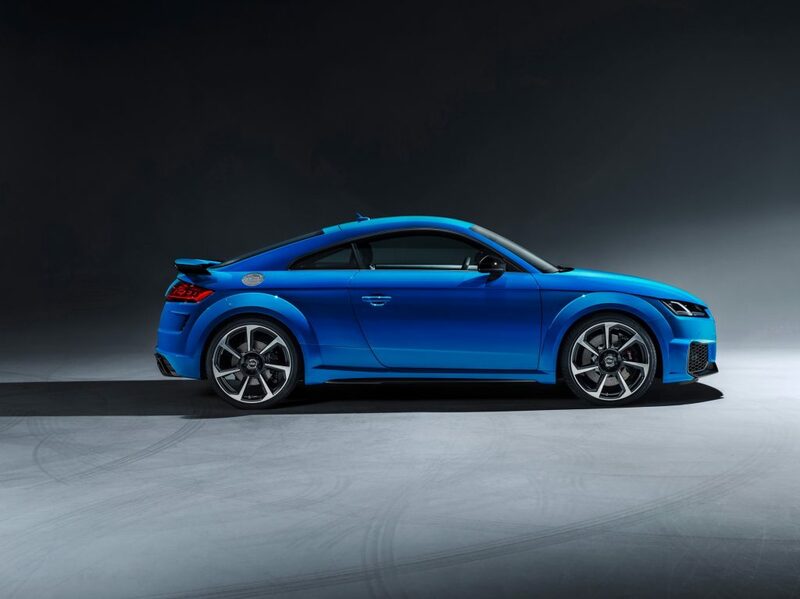 The Audi TT model series has always been a sleek car, once dubbed as a car for hairstylists has now been shed as the TT series becomes a car which everyone wants to have. 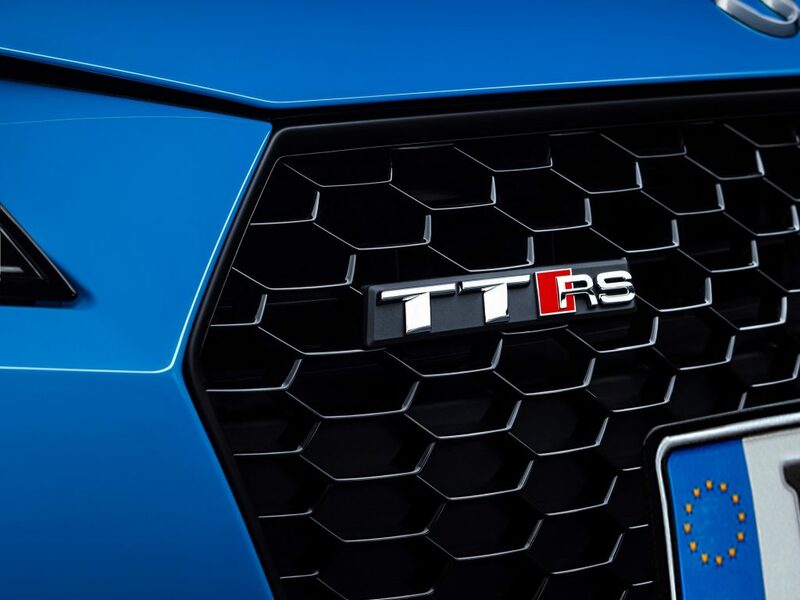 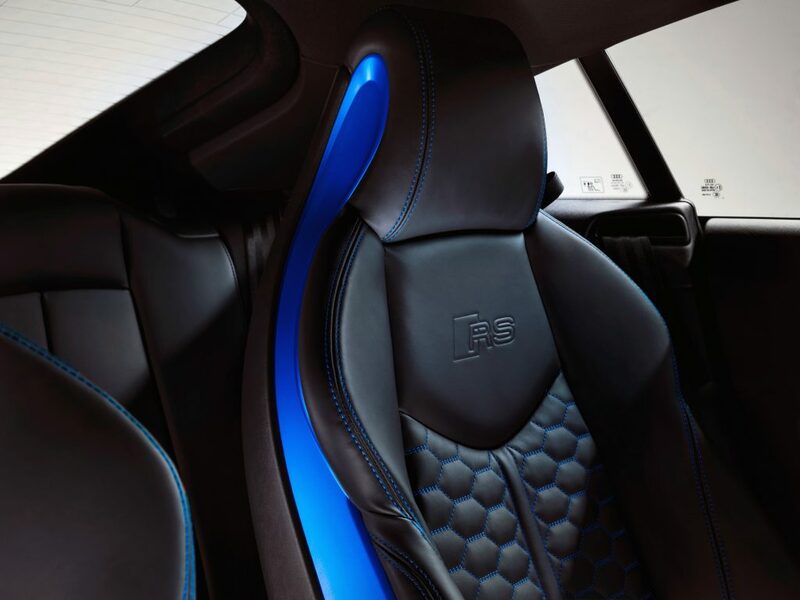 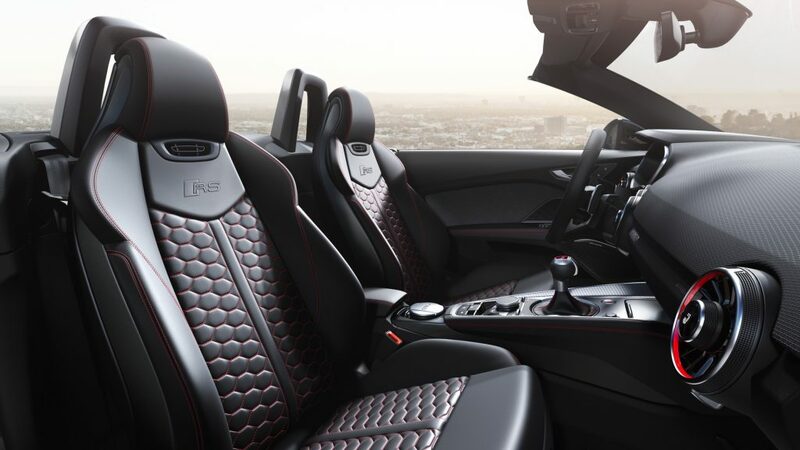 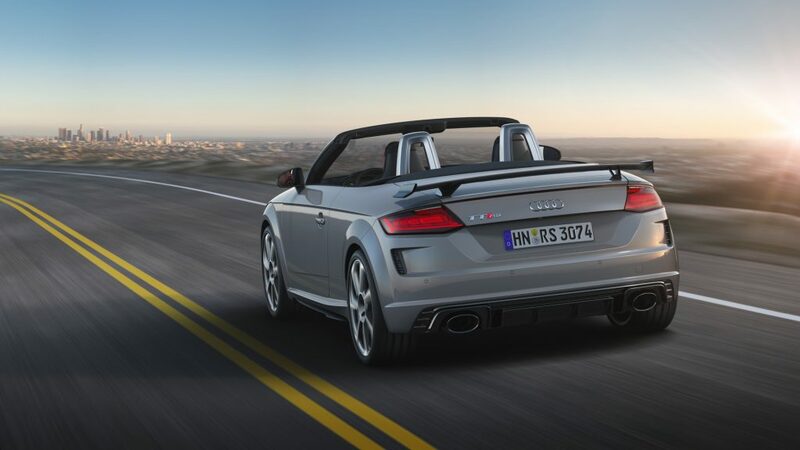 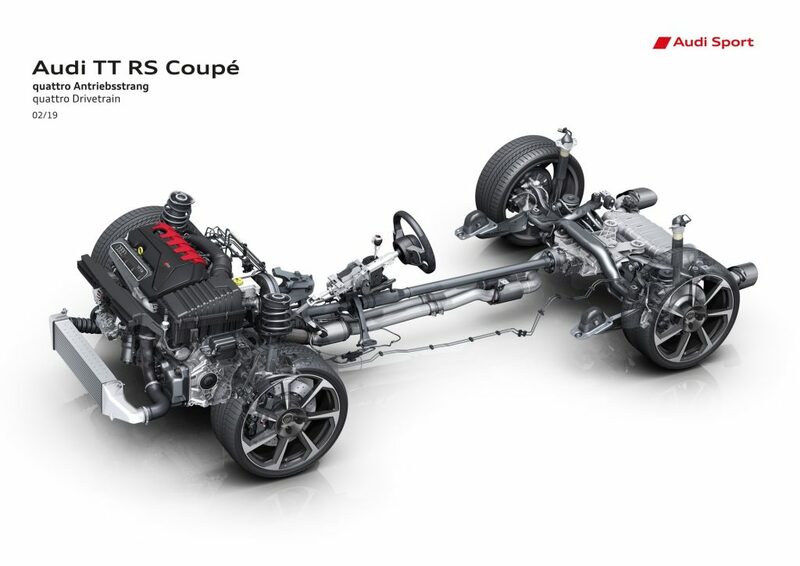 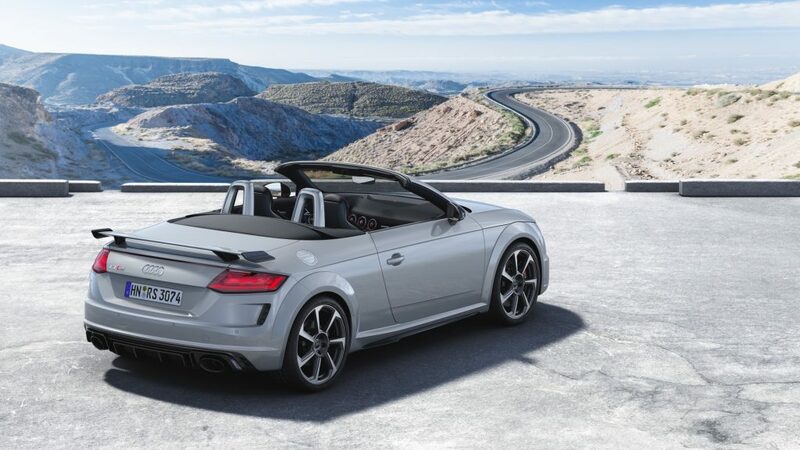 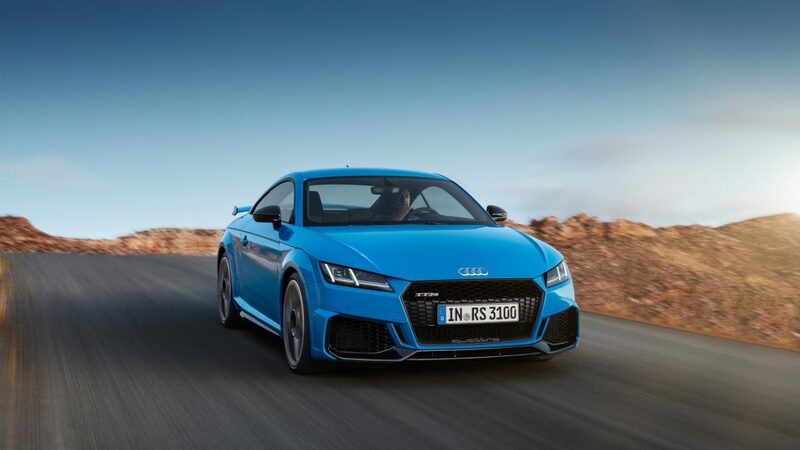 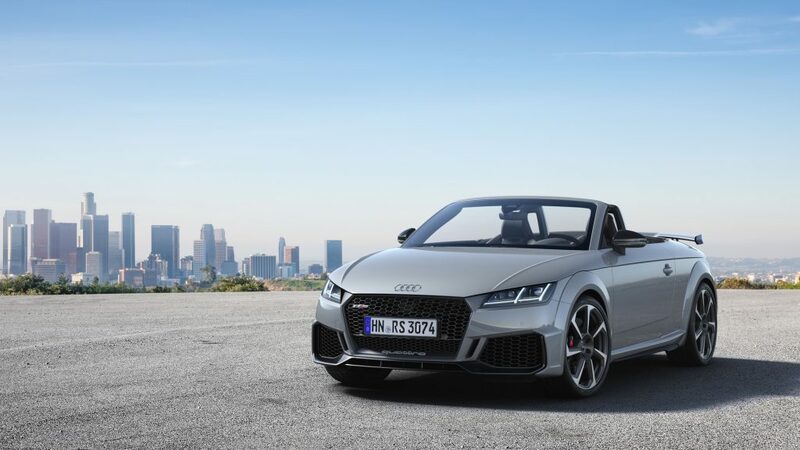 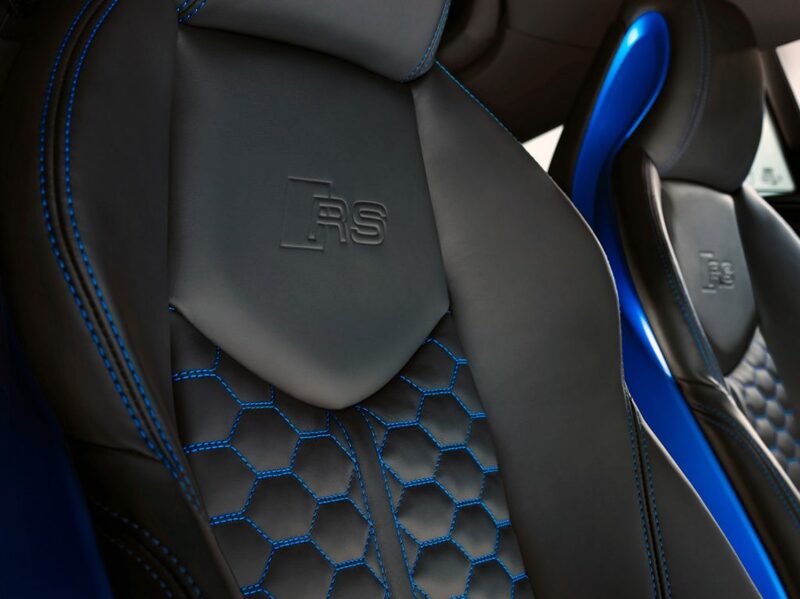 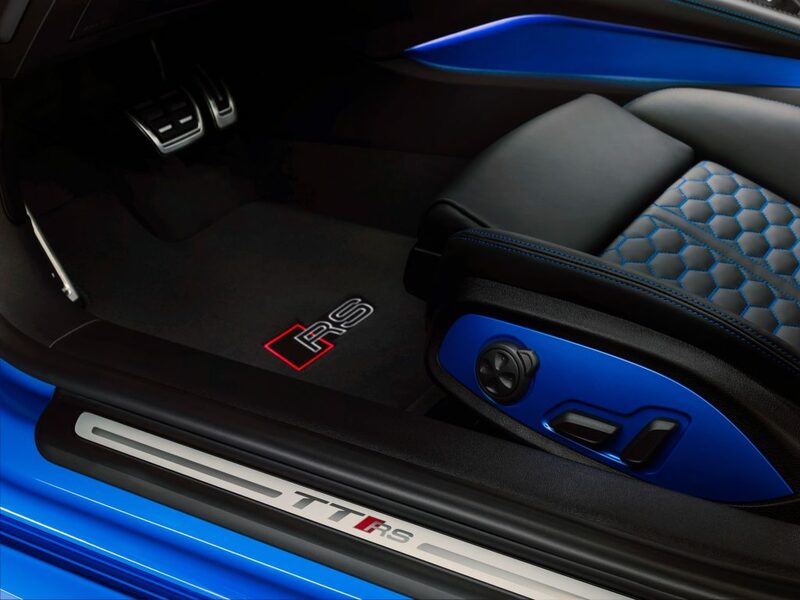 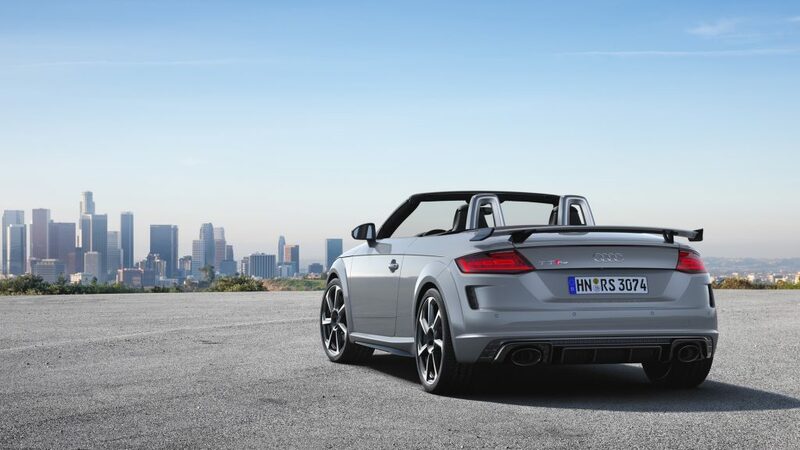 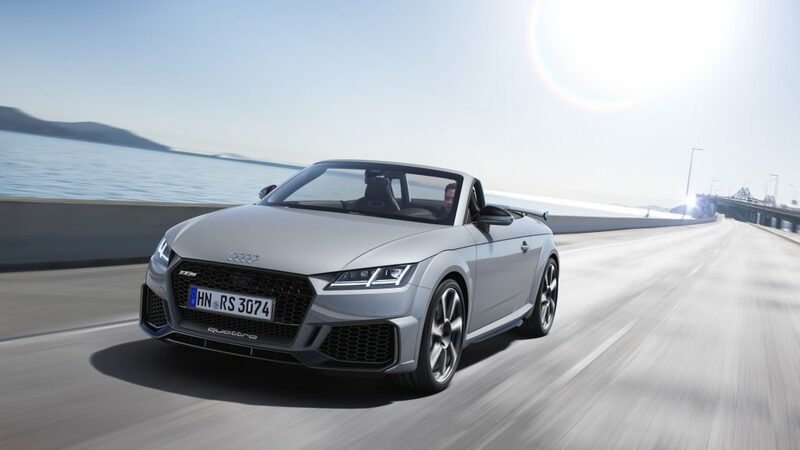 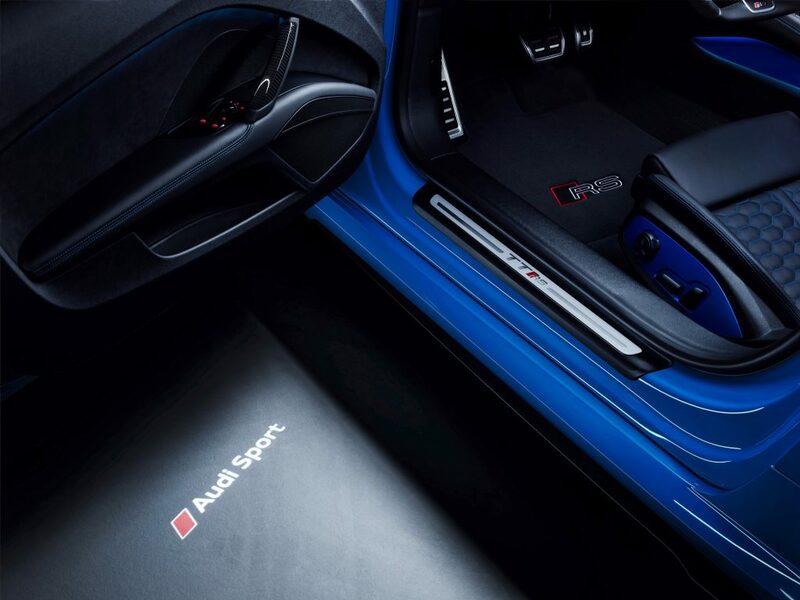 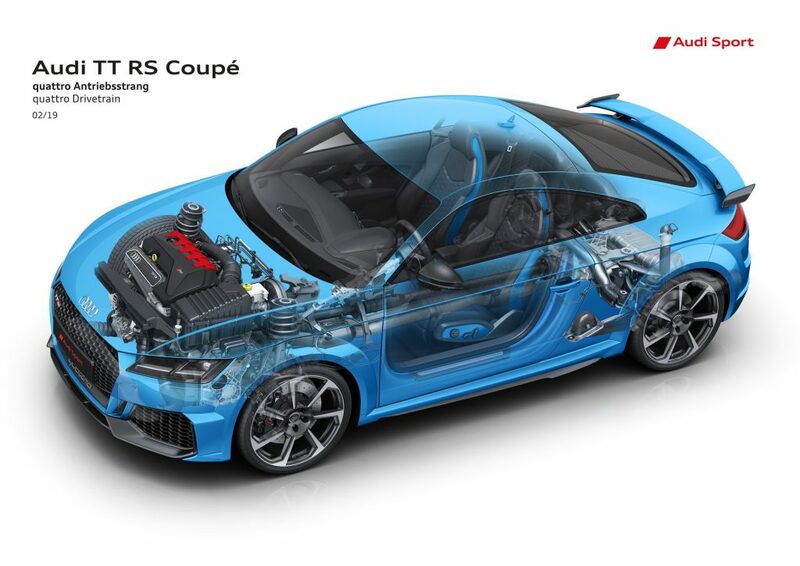 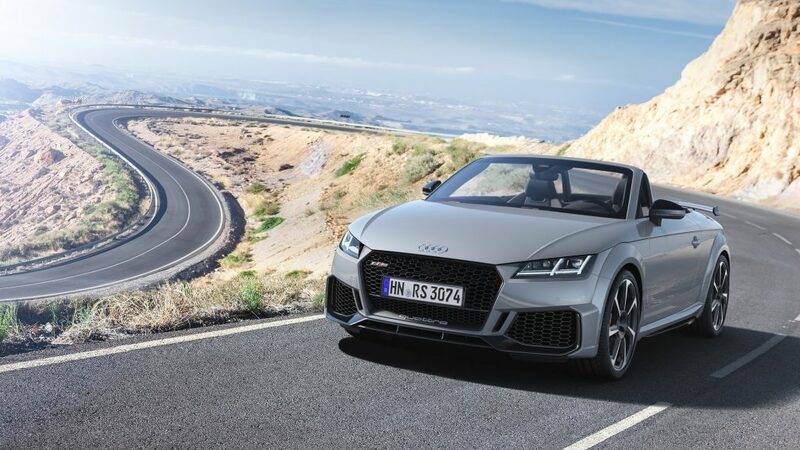 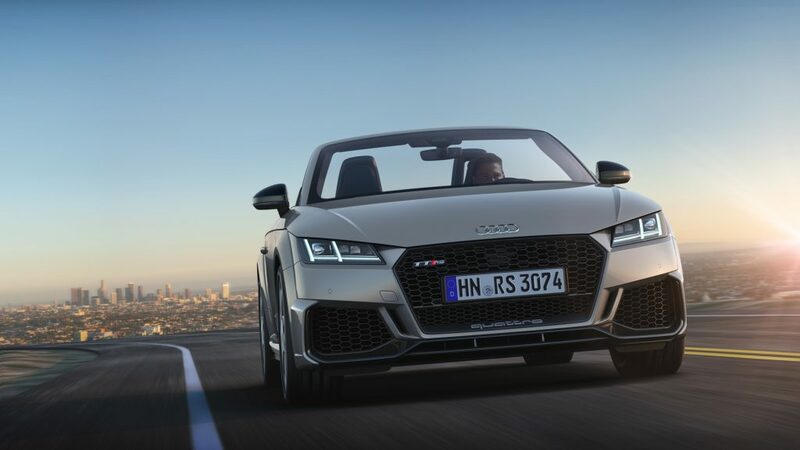 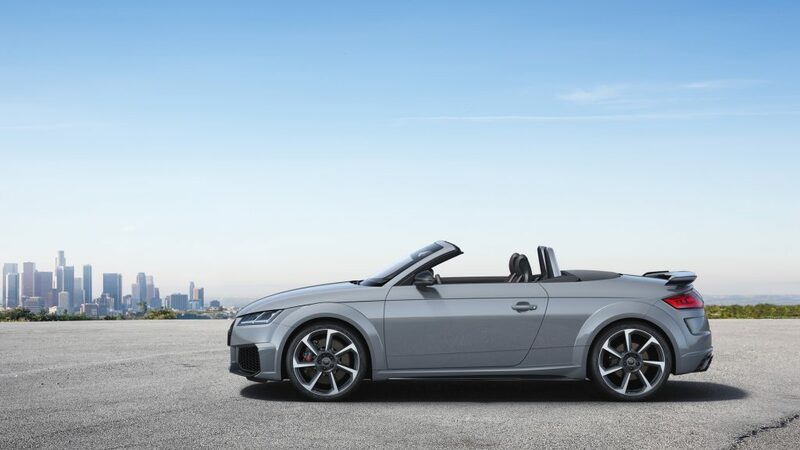 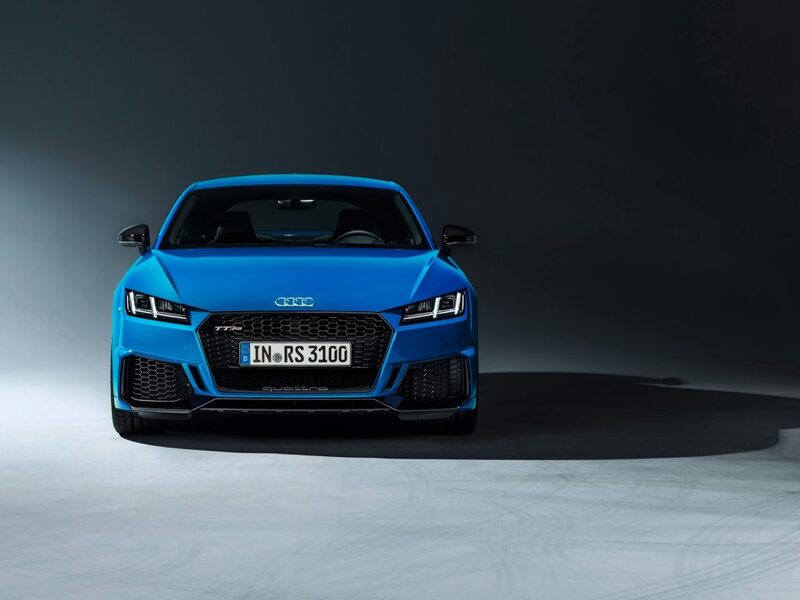 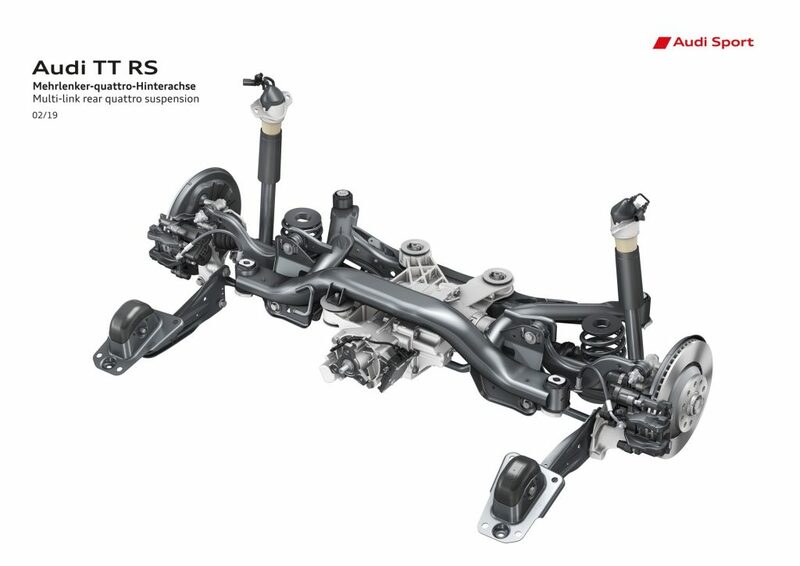 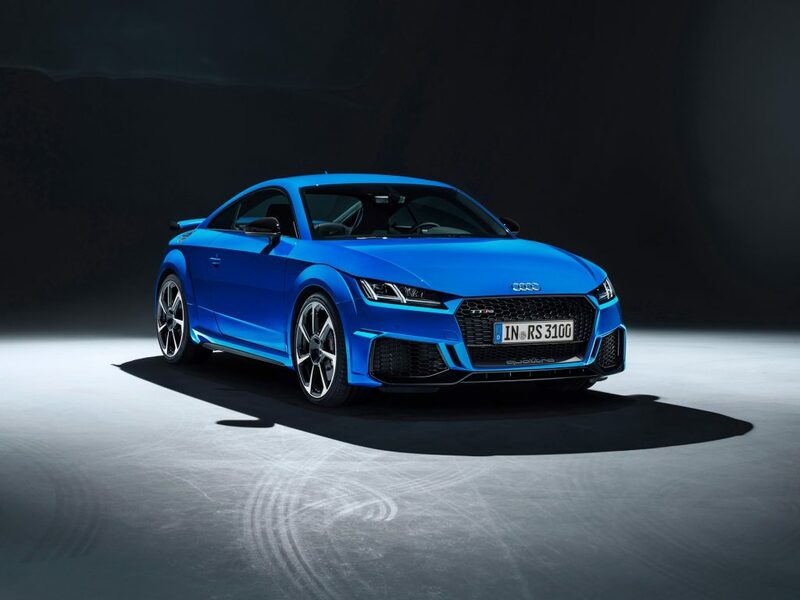 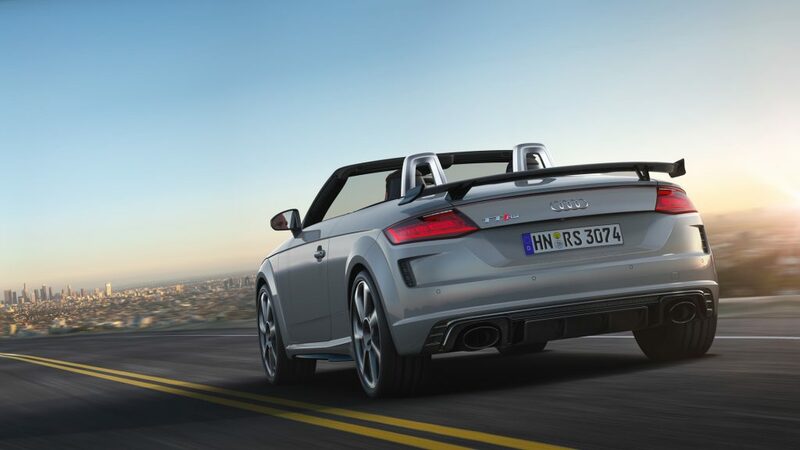 This time around, Audi Sport took the TT model and decided to give it their standard RS treatment culminating in a coupe and roadster fitted with a five-cylinder engine delivering 400 metric horsepower. 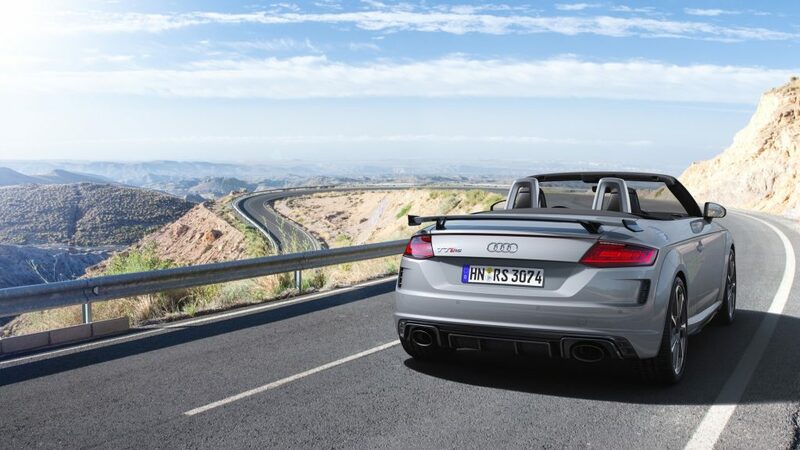 Of course it helps that it is also accompanied by an unmistakable five-cylinder sound. 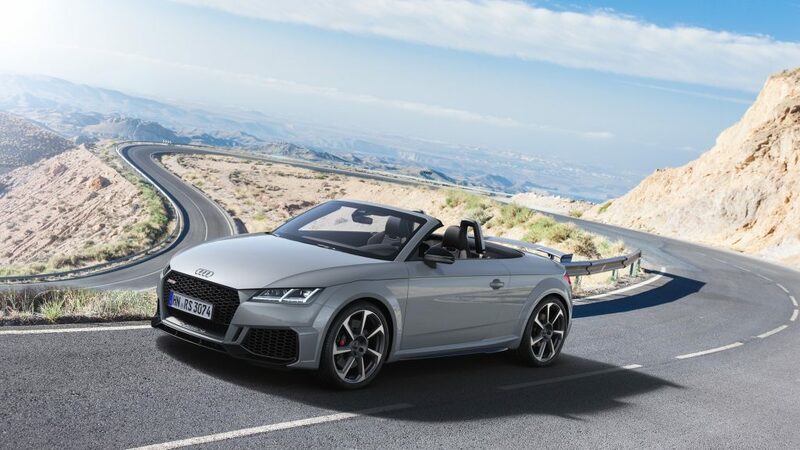 The Coupé and Roadster will be found at dealers in Germany and other European countries from spring of 2019 on. 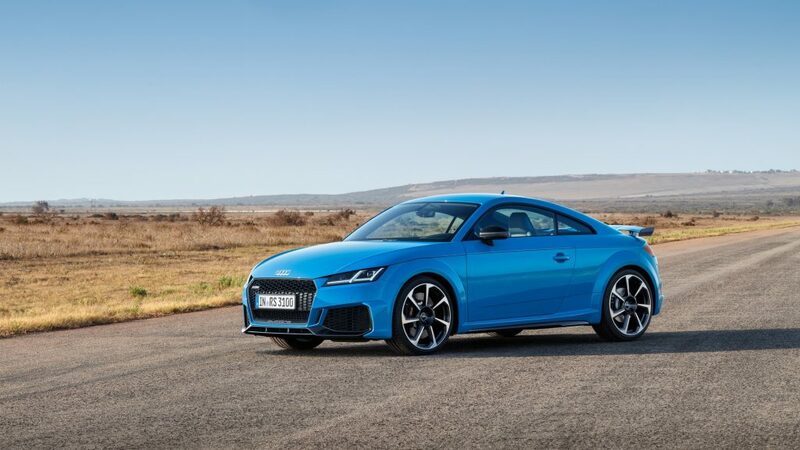 Prices for the Coupé start at EUR 67,700 (around RM311k). 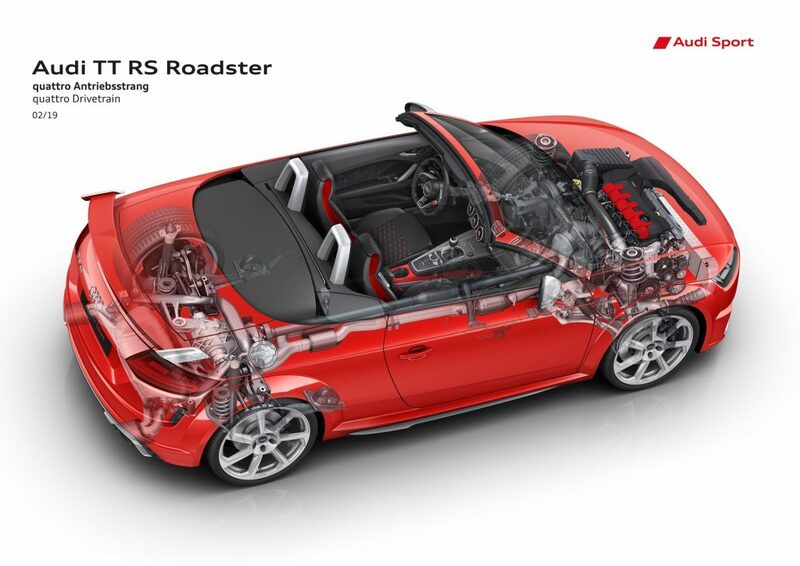 The Roadster starts at EUR 70,500 (around RM324k). 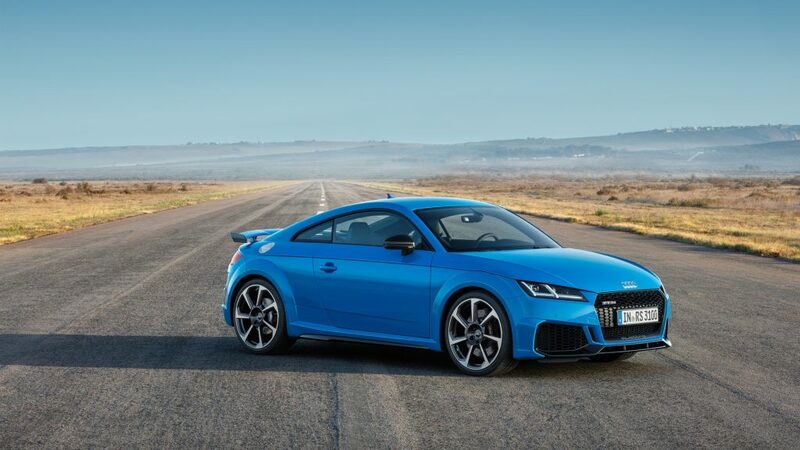 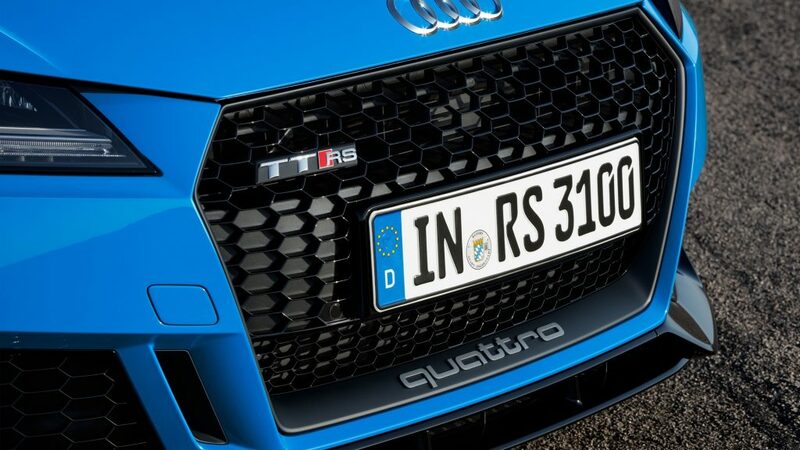 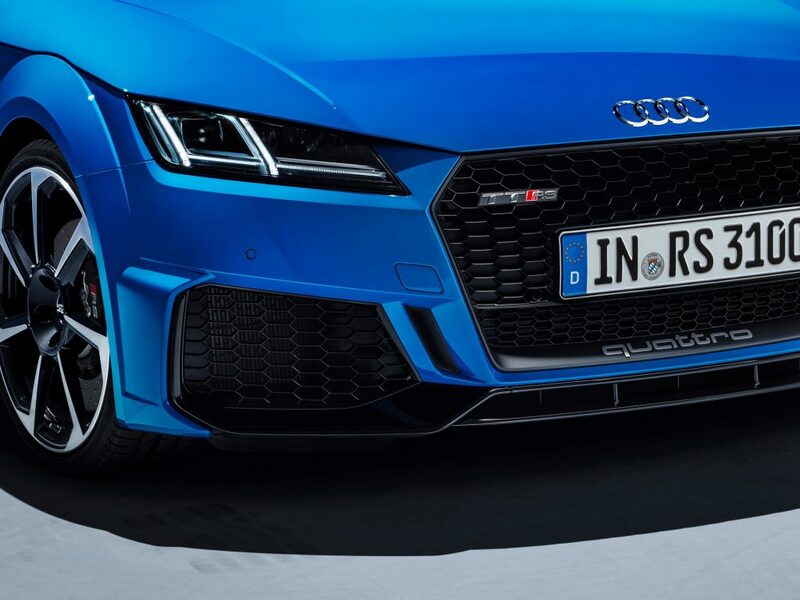 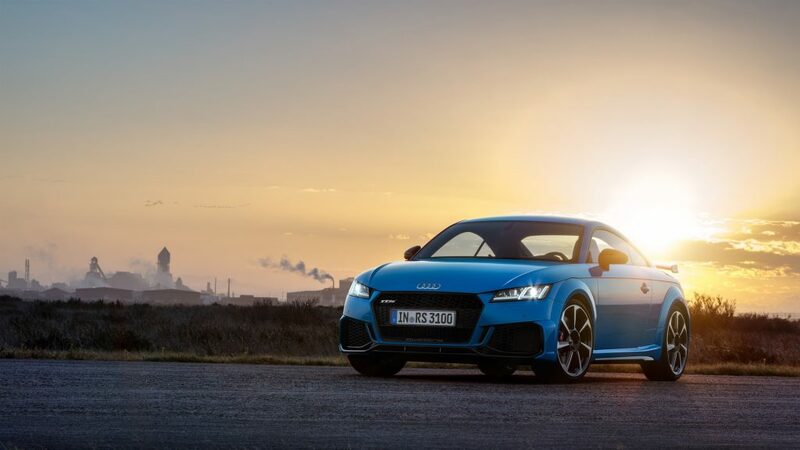 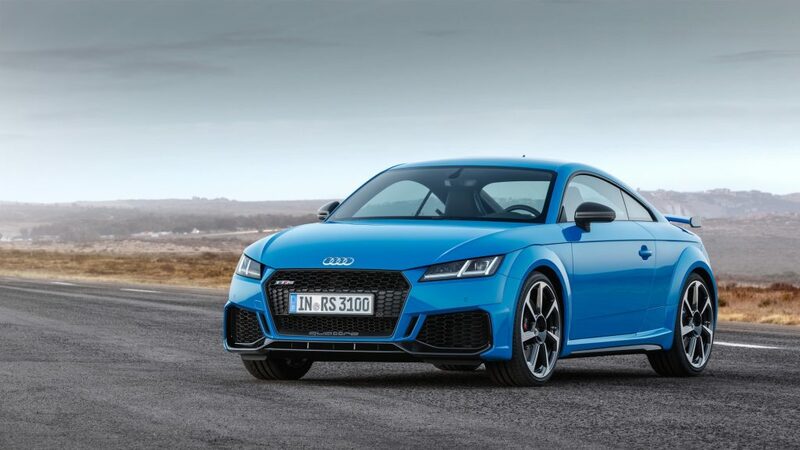 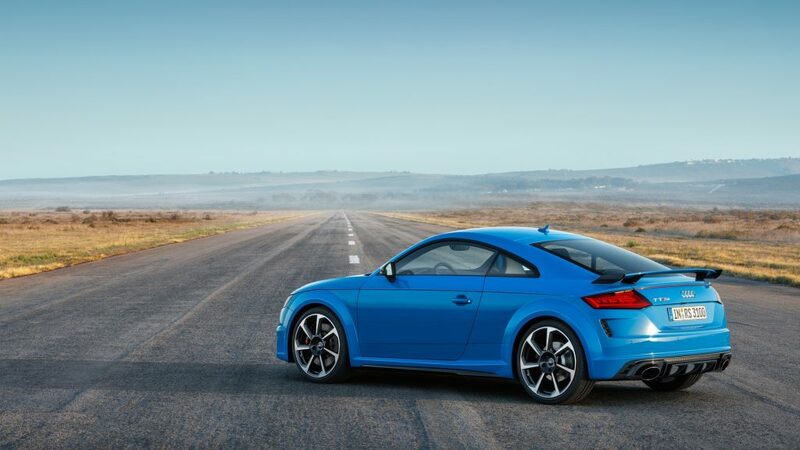 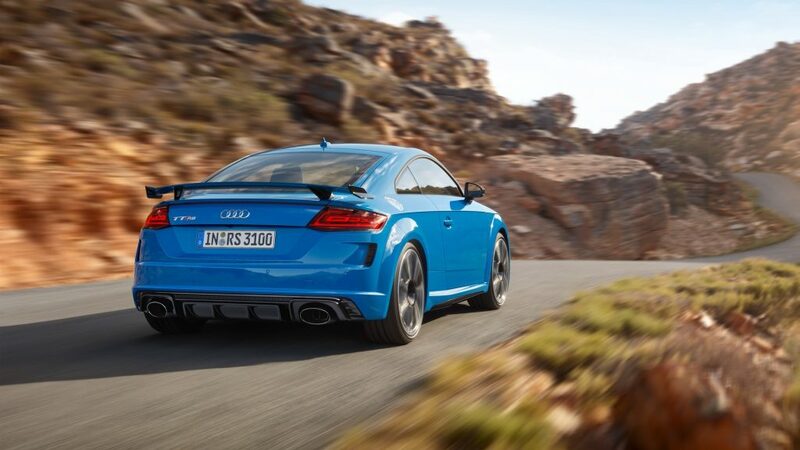 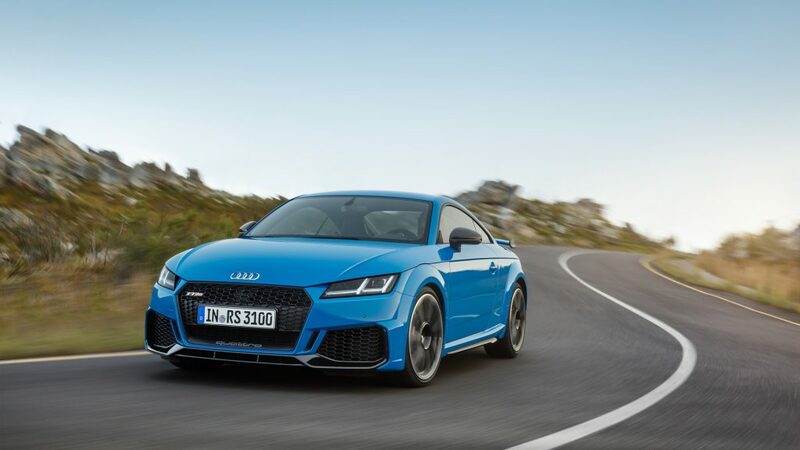 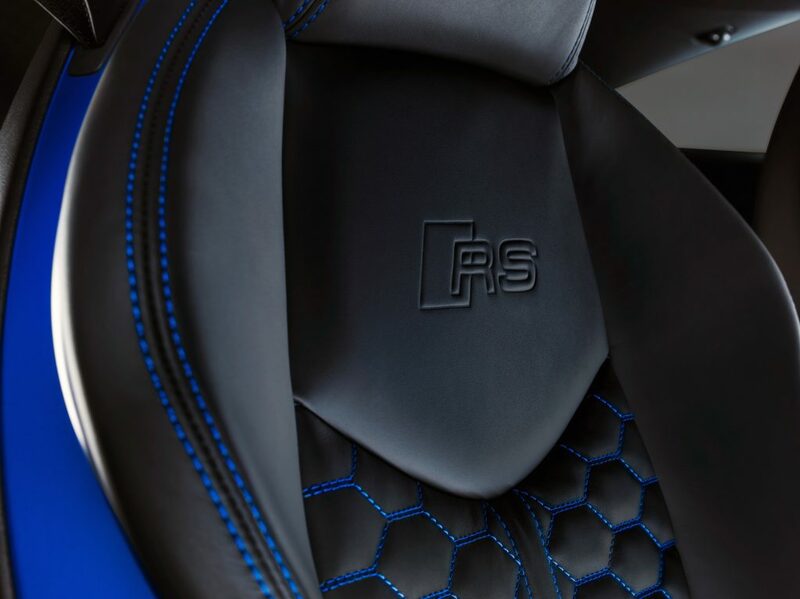 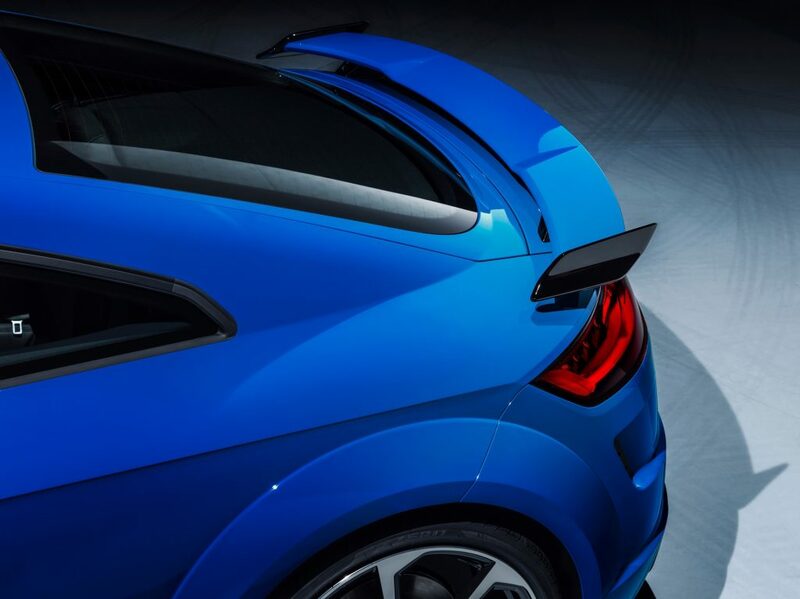 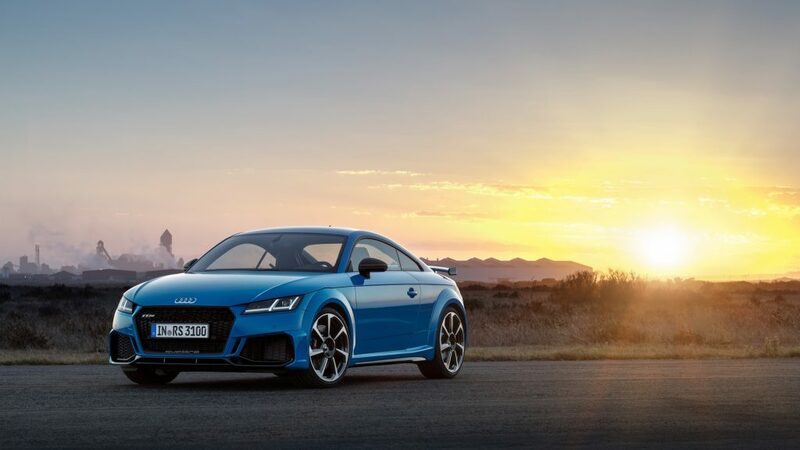 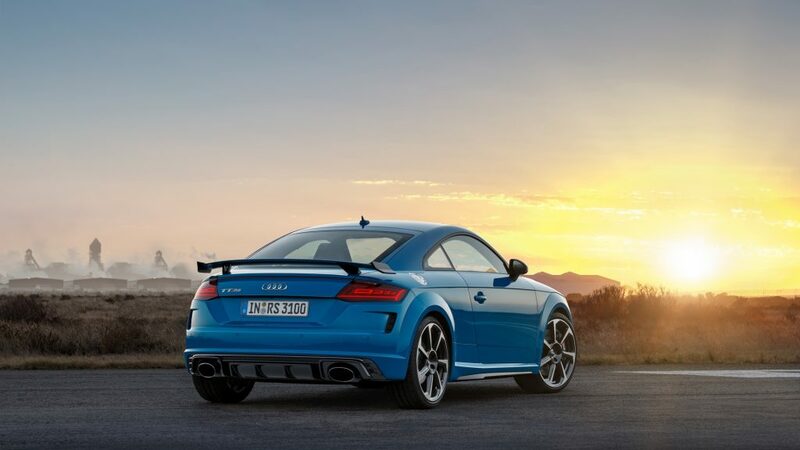 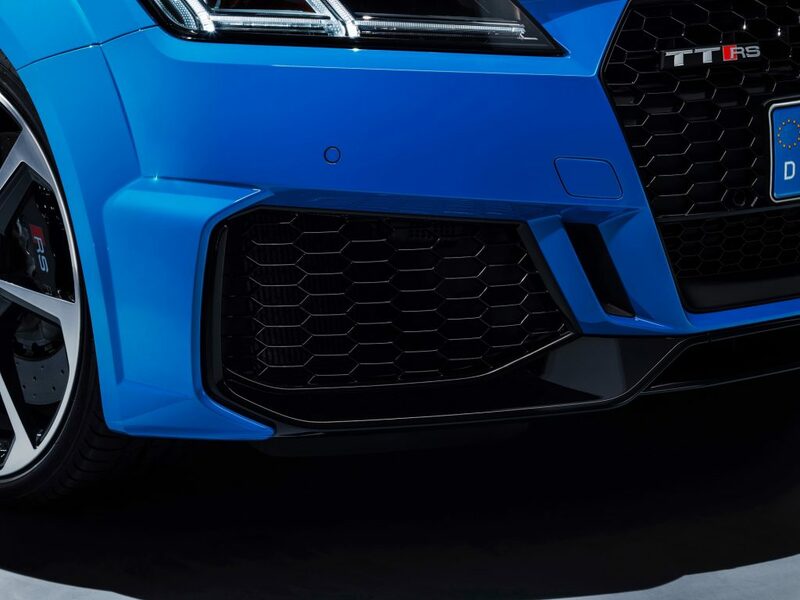 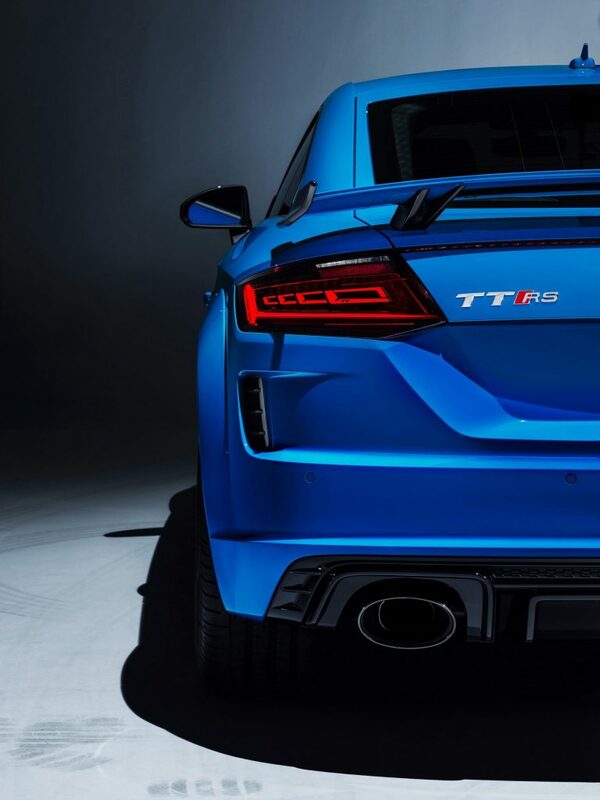 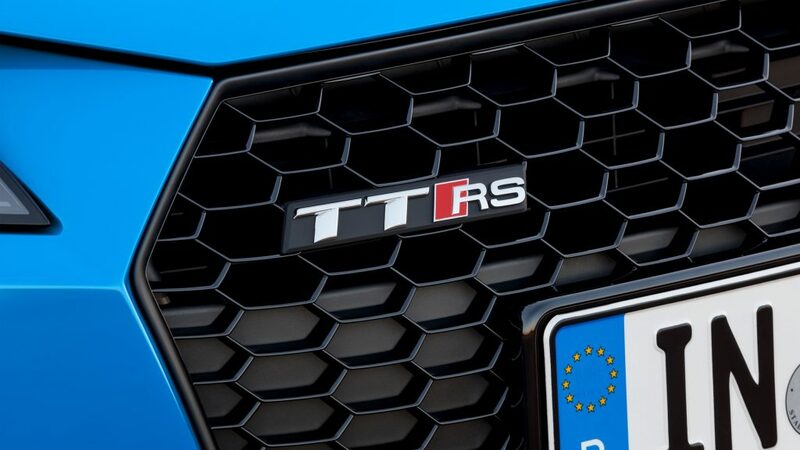 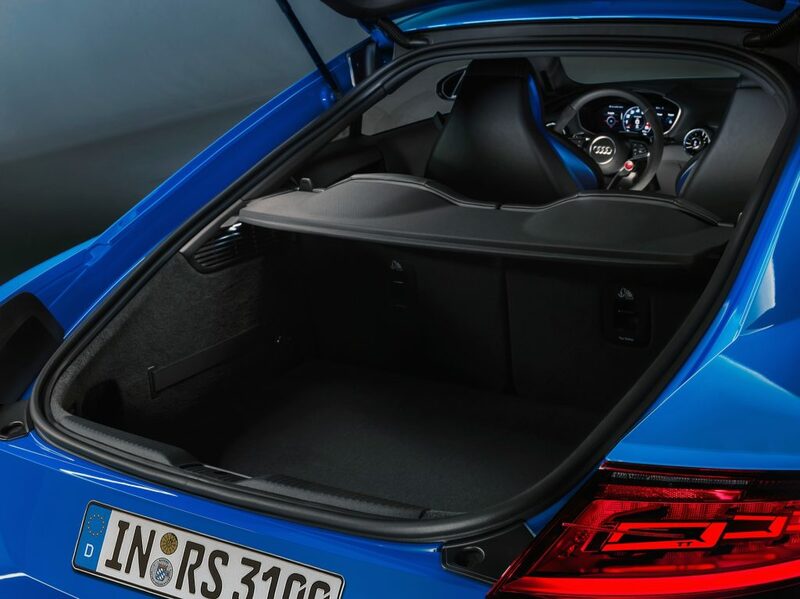 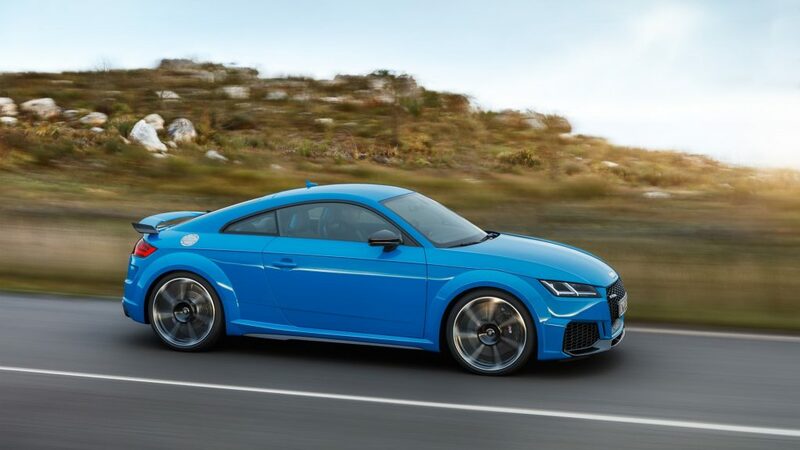 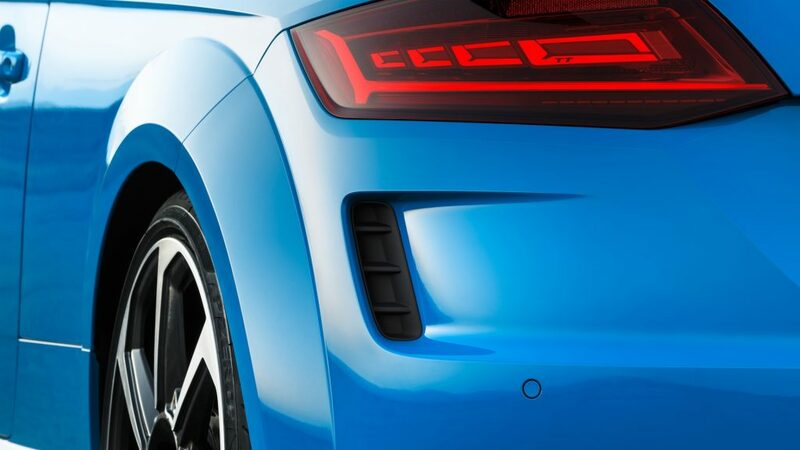 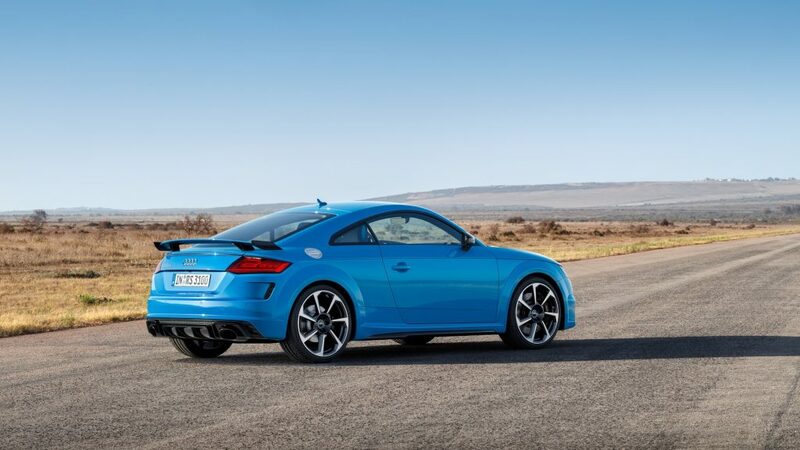 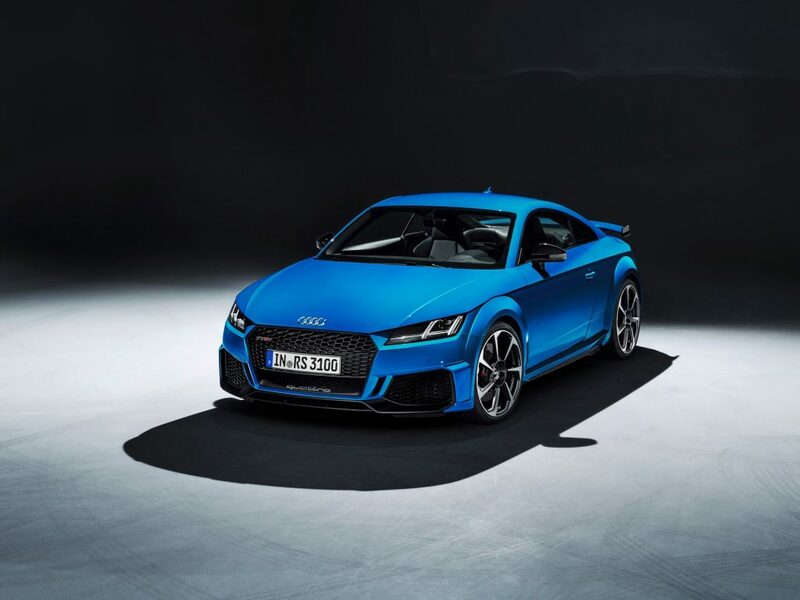 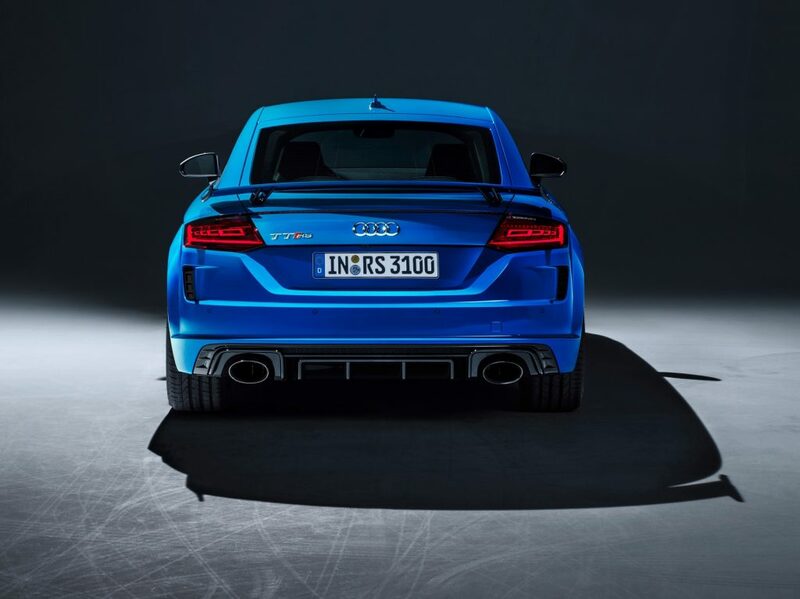 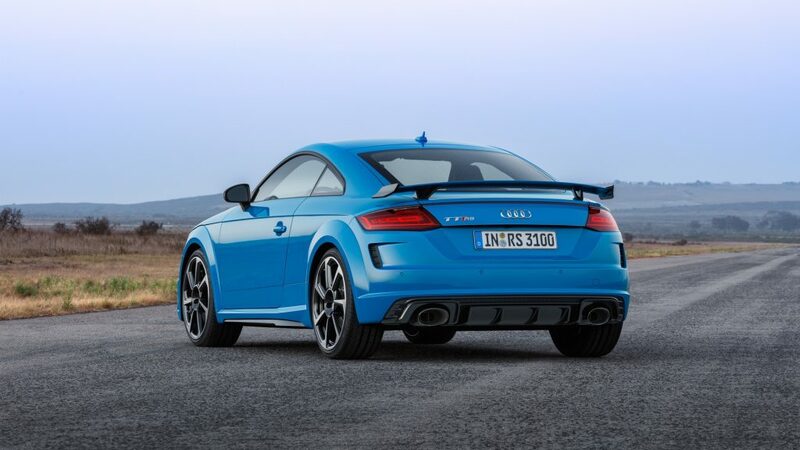 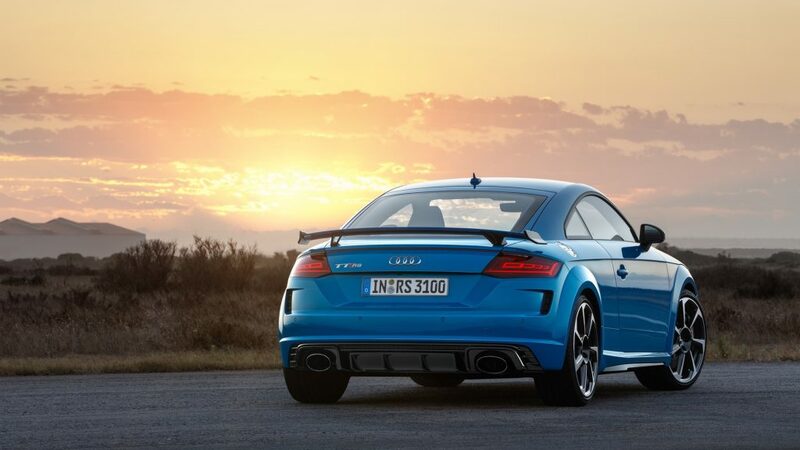 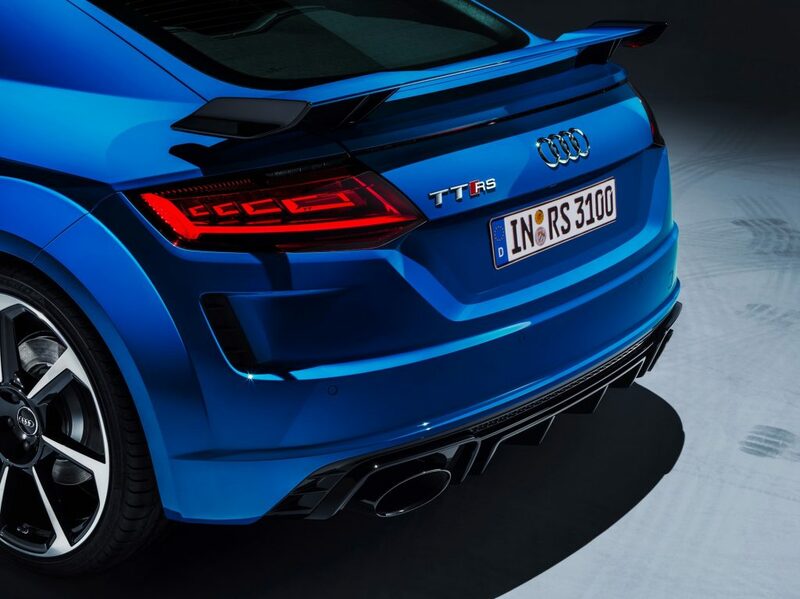 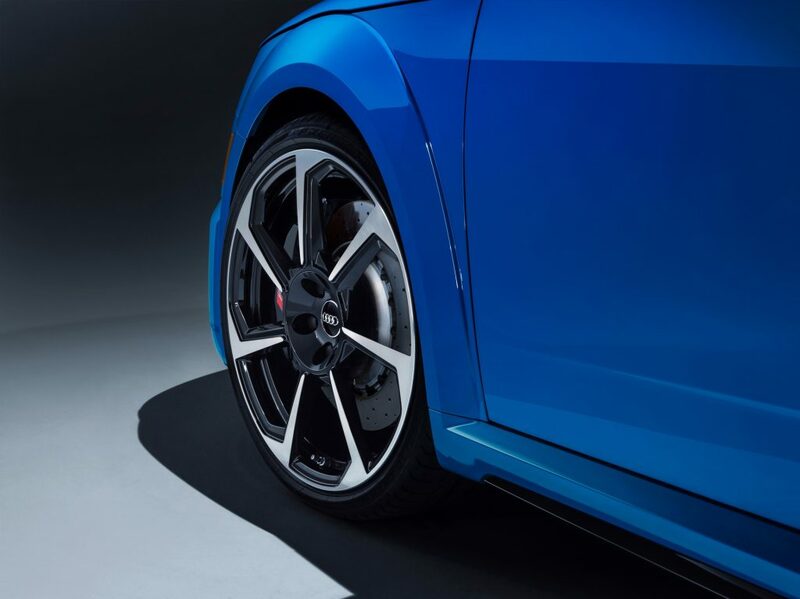 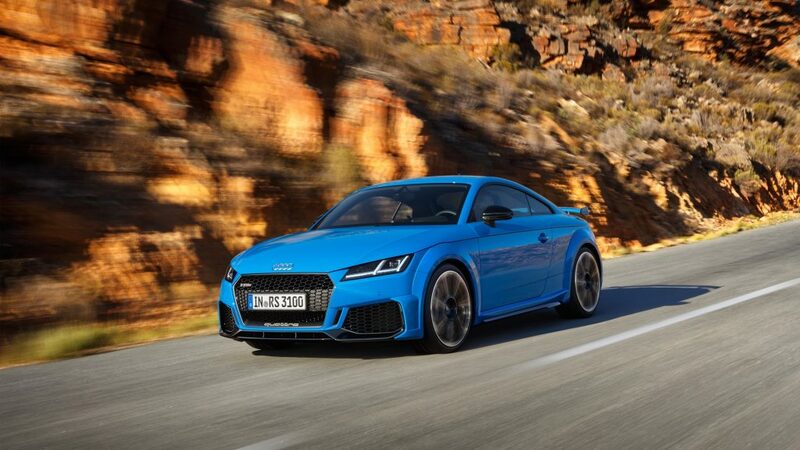 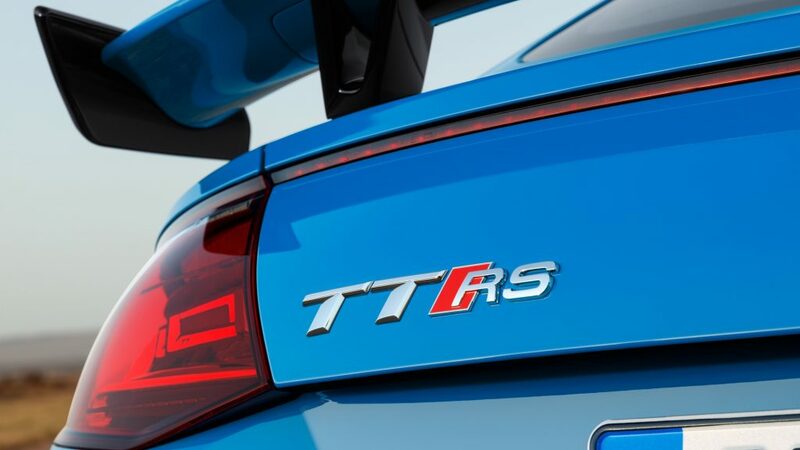 Five-cylinder, 400 metric horsepower output, 480 Nm of torque, quattro all-wheel drive—the Audi TT RS impresses with inner values and offers an outstanding driving performance. 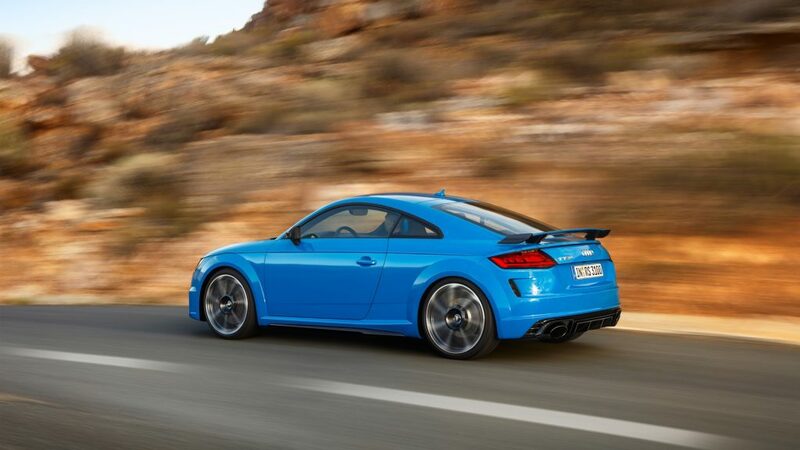 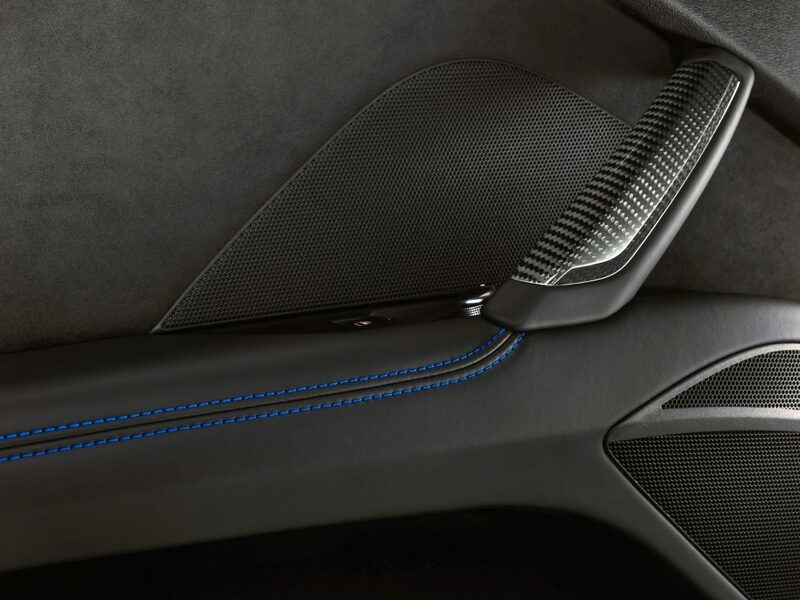 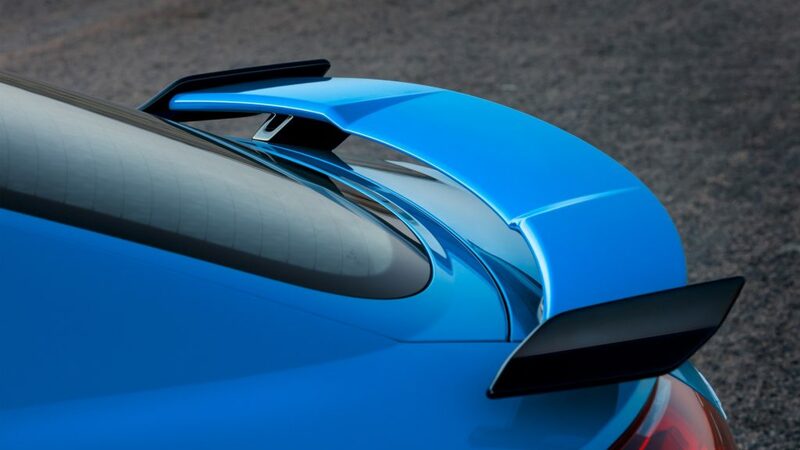 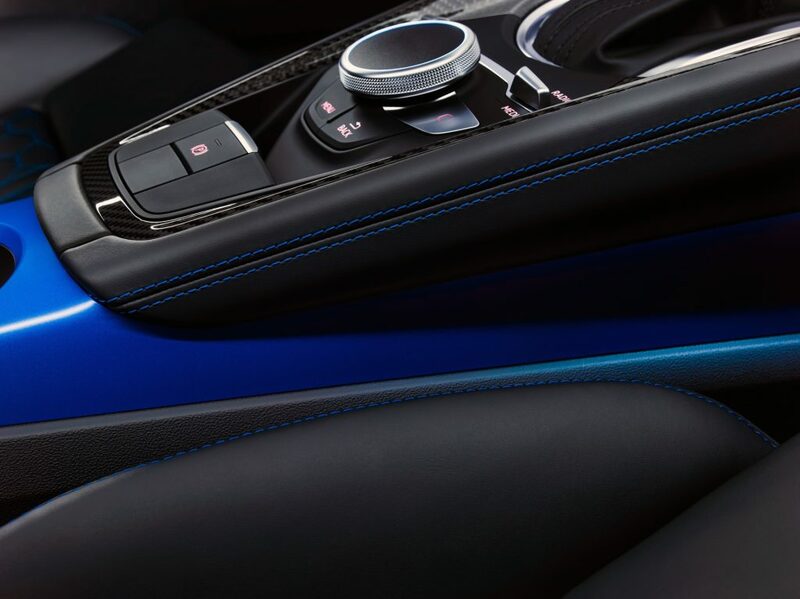 The Coupé sprints from 0 to 100 km/h in only 3.7 seconds. 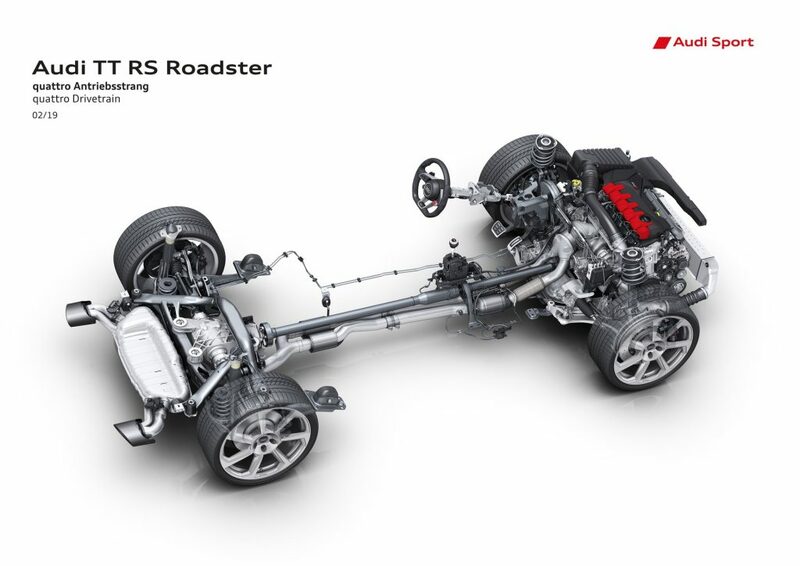 Musical accompaniment is provided by the typical five-cylinder sound: 1-2-4-5-3. 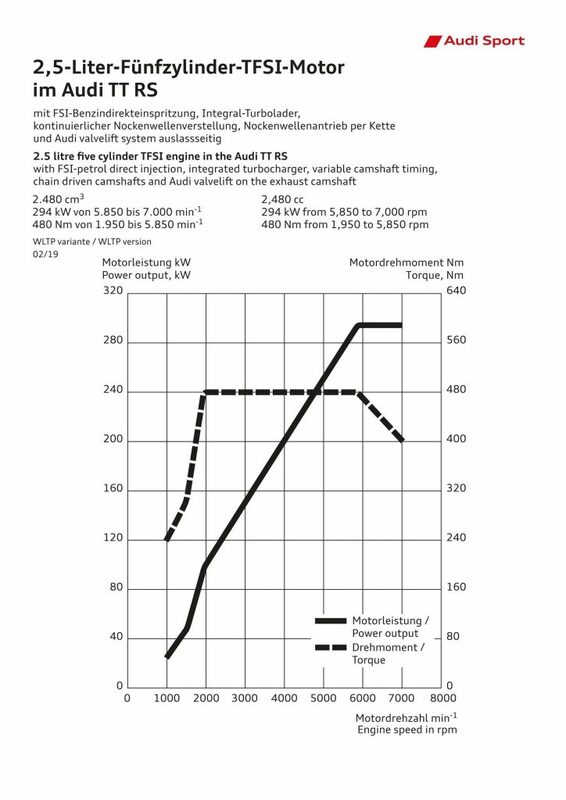 Due to this ignition sequence, ignition alternates between adjacent cylinders and those far apart from one another. 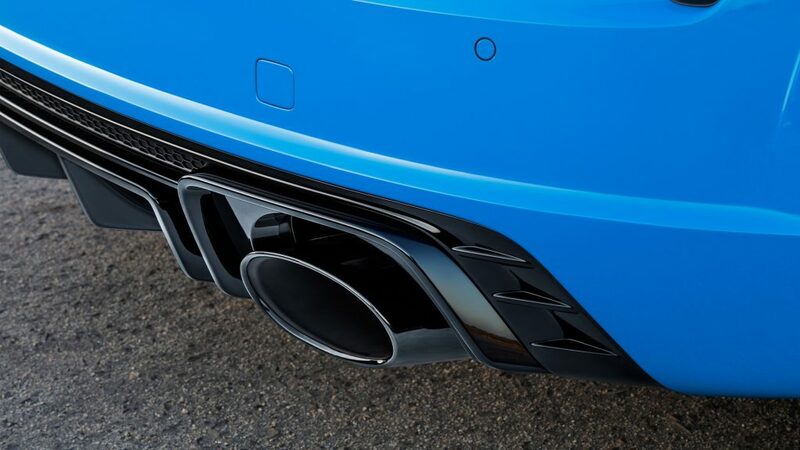 This unique rhythm is music to the ears of many horsepower purists. 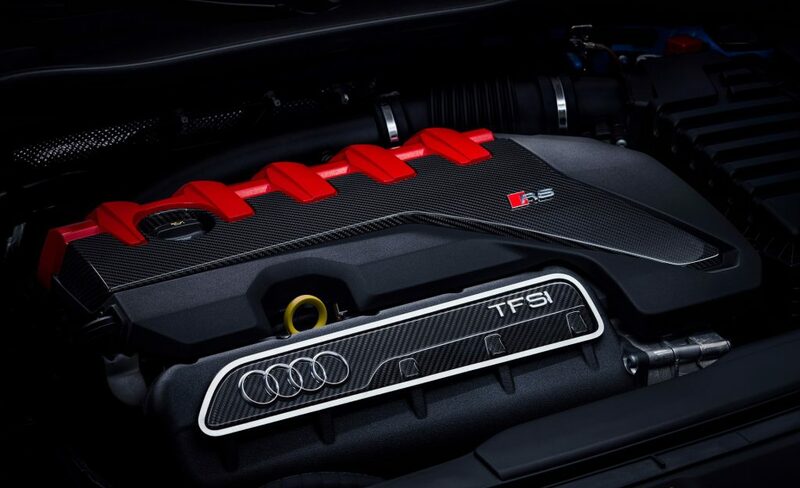 Last year, Audi Sport received the sought-after “International Engine of the Year Award” for the 2.5 TFSI engine for the ninth consecutive time. 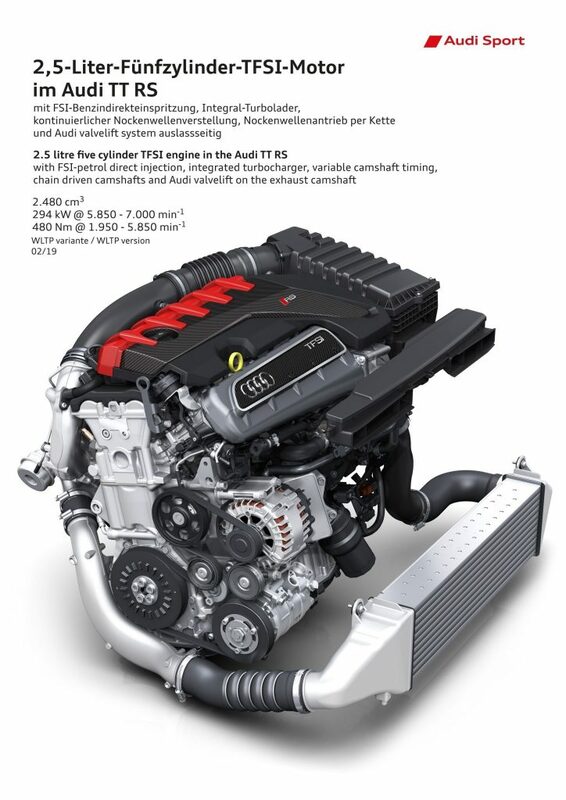 The turbo engine draws its power from an engine displacement of 2,480 cm. 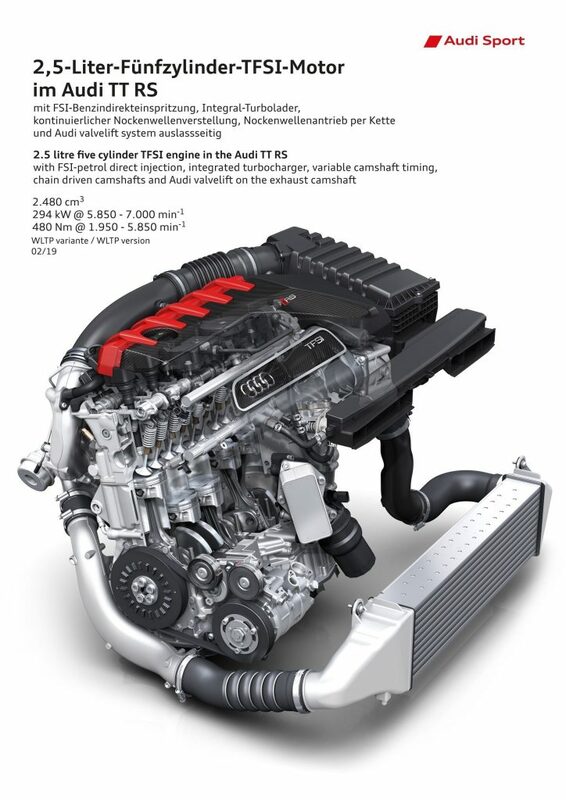 The engine’s maximum torque of 480 Nm is available between 1,950 and 5,850 rpm. 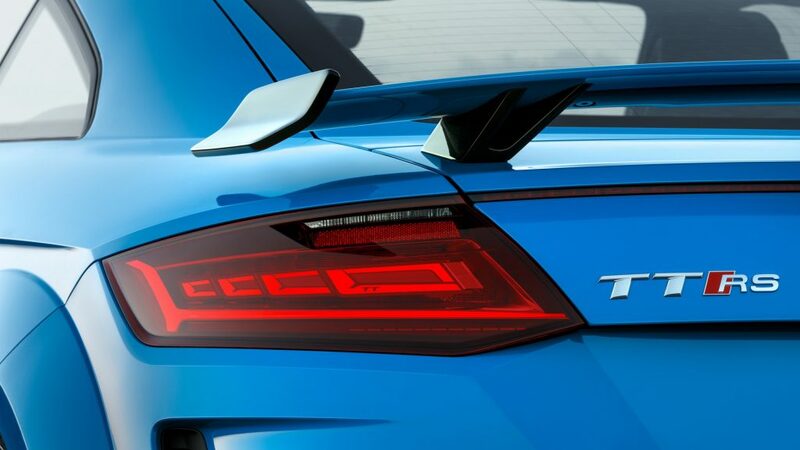 The top speed is regulated at 250 km/h or an optional 280 km/h.